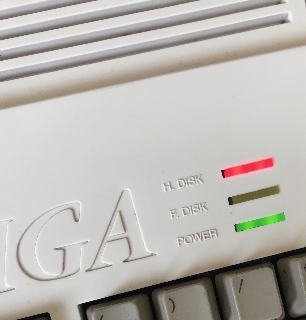 This is suitable for internal fitting in a desktop Amiga 1200. The three LED units are removable/interchangable so that the colour configuration can be bespokely set by the user. Select the colour for each LED module that you require. There is a choice of red, green and yellow. We can also supply spare additional LED modules of these colours. Features a socketted quick release cable - the original Commodore version would easily break where the cable was soldered to the adapter board. Our pleasure Glad you like it ! how does the 'yellow' compare to what I'd call the standard 'amber' LED? what type of LED packages are they? blue and white options would be quite cool. 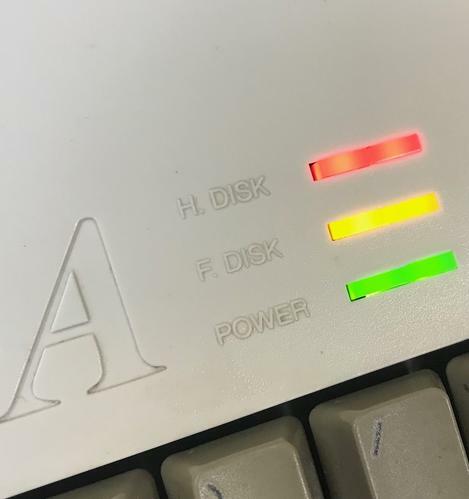 Does any colour bleeding occur between the LEDs? Nice A video of it in action would be nice as well ..
thinking of getting some of these for 1200 case and my pi3 has anyone tyred these with a pi3 ? Not sure how i can script Floppy to the GPIO. external or USB hardrive sure but adf is tough. Will do some research on this.